By choosing this add-on, you can add any number of extra "Parking Lots" to you Base Urban Set. 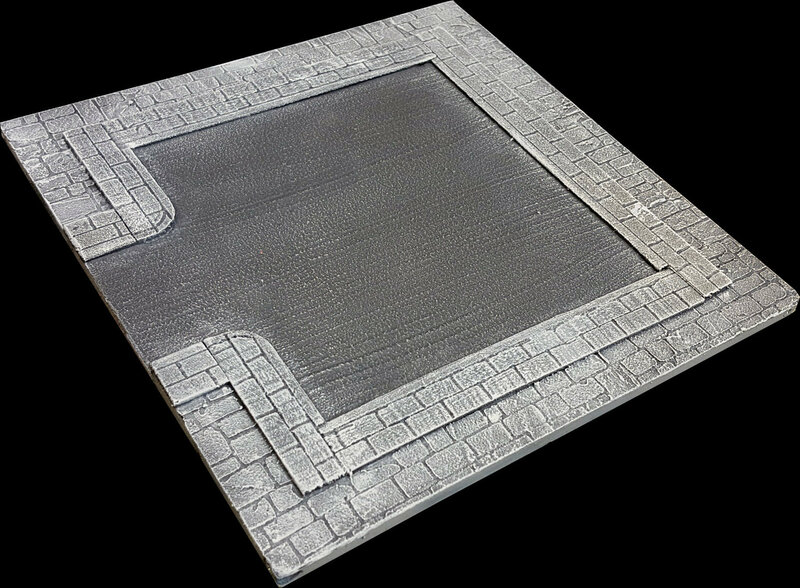 This tile design is available for "Modern" themed sets and it can be used to create neighbourhoods around it, or shopping centres. You have to pre-order a Base Set before adding any more tiles and/or base sets in your order. The Parking lot does NOT come with any car parking lines prepainted; they would define a specific scale to be used with. If you wish for them, we can paint scale-specific car lines for you with the corresponding add-on. The entry road will be available both in the 7cm and the 14cm widths. Magnetising is not available for this tile design.